Are you an amateur or a student yearning to get your start in Neuroscience? Maybe you're a seasoned expert looking for a side project? 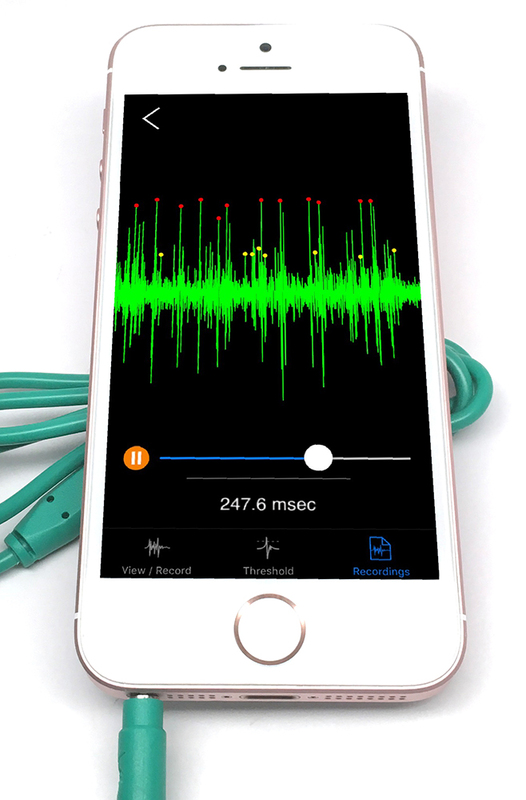 Perhaps you're a teacher in need of an affordable, exciting, and in-depth educational tool to make learning neuroscience fun for kids or young adults. 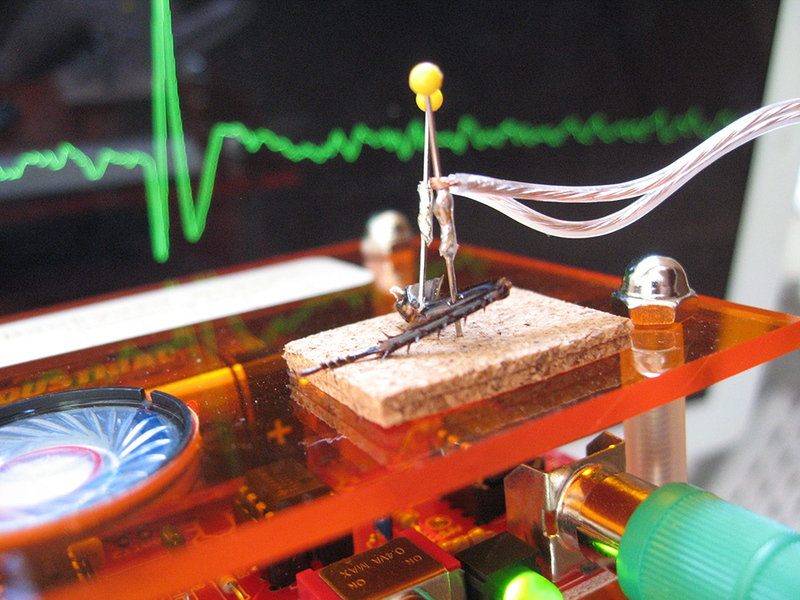 You could even be looking for a competition-destroying science fair project. Whatever your neuroscience need, the Neuron Spikerbox is here to fill it! 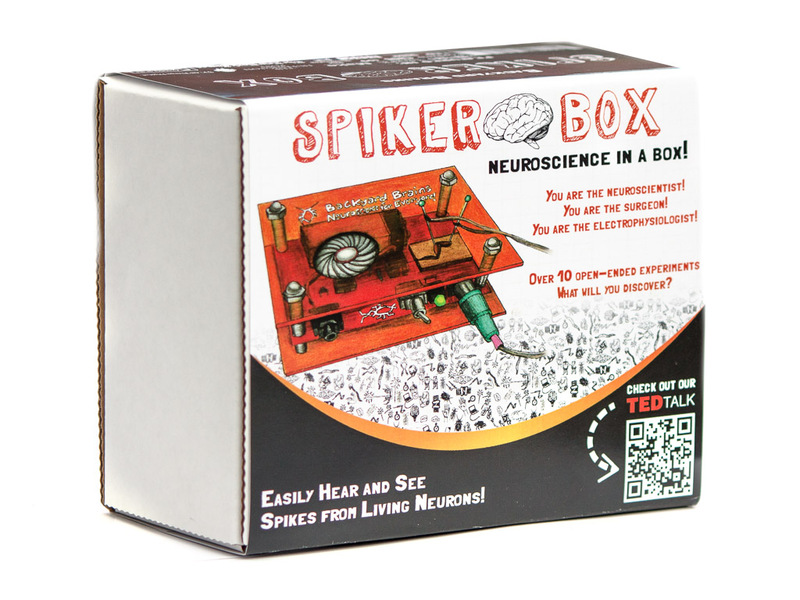 The Neuron SpikerBox is a bioamplifier that allows you to hear and see real-time electrical "spikes", or action potentials, of live, signalling neurons in invertebrates. 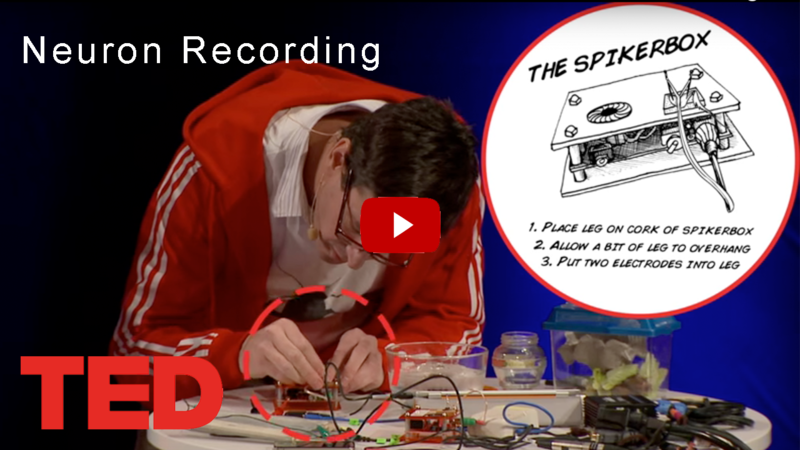 He also shows how you can stimulate the leg with electricity generated from sound recordings-check out how it responds to a beatboxer's rhythms! 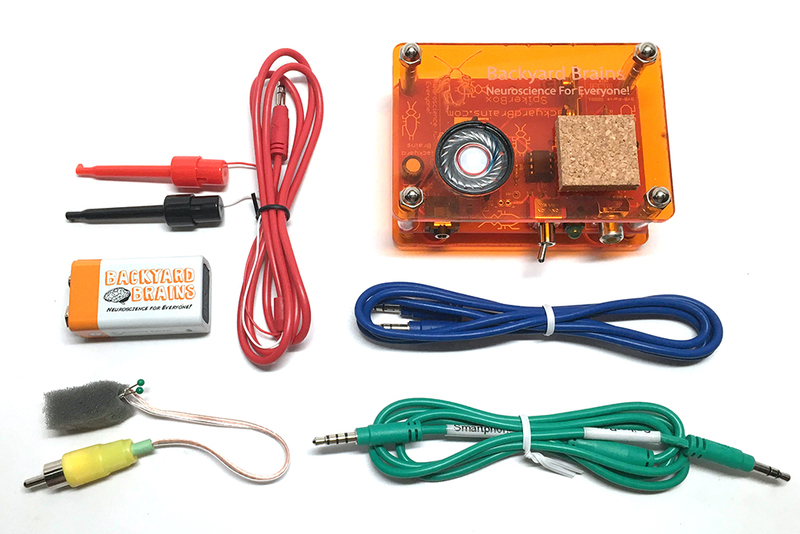 This kit comes with our fully assembled Neuron SpikerBox and a variety of cables so you can hit the ground running on cockroach legs. 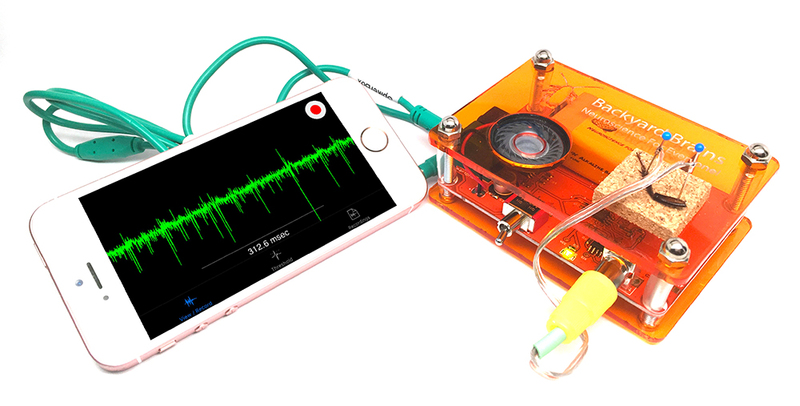 Don't wait until you've got that big, complex electrophysiology rig assembled before you see and listen to spikes-get the Neuron SpikerBox and record them today! 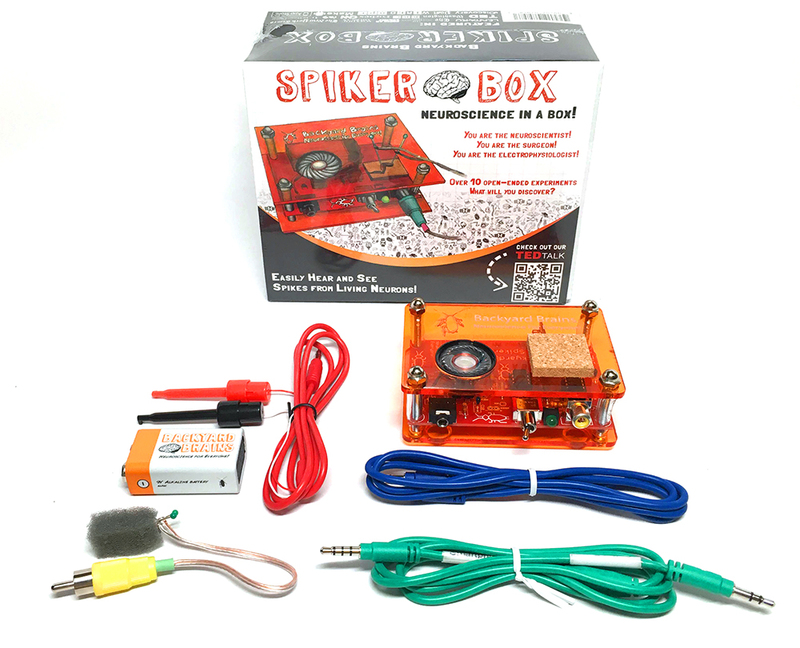 The Neuron SpikerBox comes ready with everything you need start experimenting with and learning neuroscience. You only need to supply time, curiosity, and an invertebrate (cockroach, cricket, or earthwork work best we find) which you can order from us, pick up in a local pet store, or find in your own backyard!. 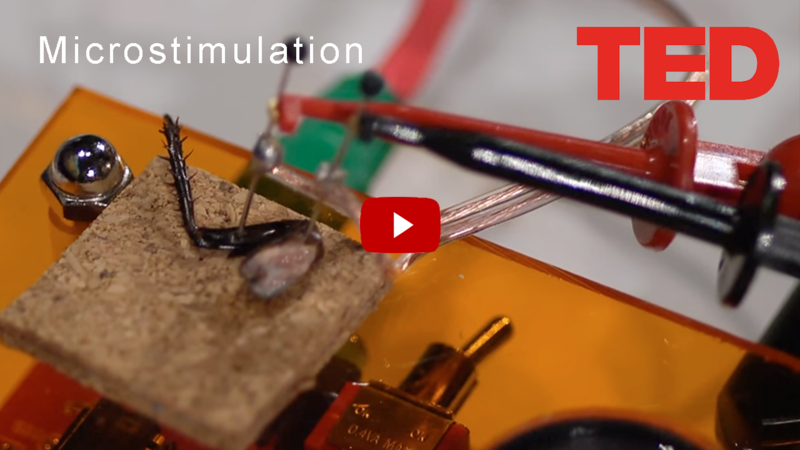 Once you have an invertebrate, follow the included getting started guide and our online experiments, and soon you will be listening to the beautiful sound of live neuron spiking activity. You'll also see them in real time on your mobile device or computer. Remember-all of our software and experiments are free! As well, check out our in-house commercial for the product for more information.